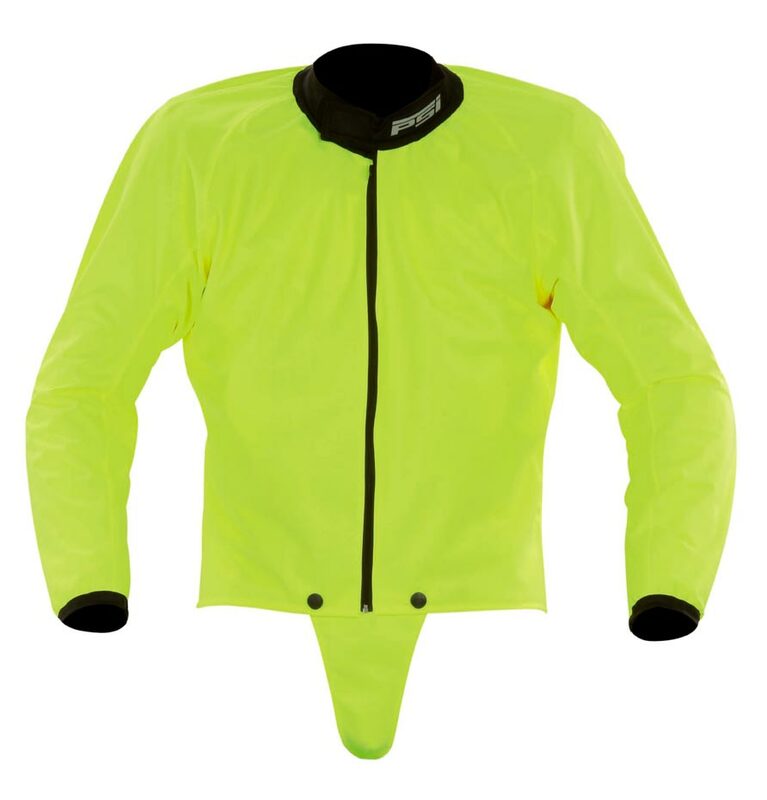 The signal cape is mainly designed for the rain and it protects against cold and whereas bad weather also worsens visibility and hereby the cape significantly increases a visibility of rider on his way as well as on the racing ring. A big advantage is our high-tech design of this product thanks to used material that is even air-permeable in contrast to common waterproofs and close-fitting cut that is designed for sports combi with a hunch, therefore it is not inflated! In EVO design the sleeves are wide in the area of elbows by reason of the location of replaceable sliders on the combi for "grinding by elbow in the bends ". You don’t fit in the standard size? 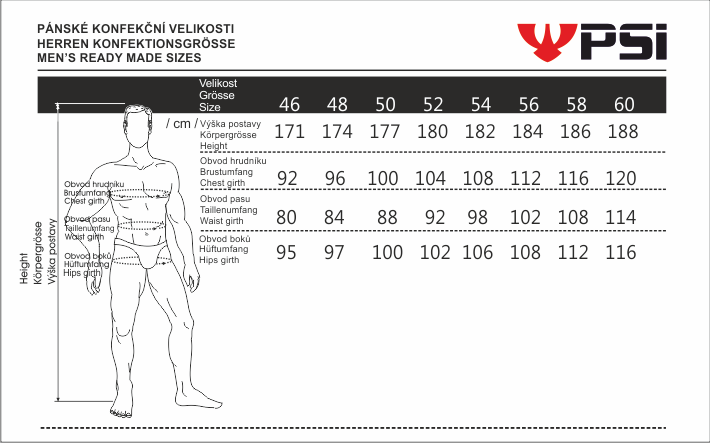 So, get measured on PSI original stores and get the made to measure product! Just the right size will protect you!